Delicious Autumn! My very soul is wedded to it, and if I were a bird I would fly about the earth, seeking the successive autumns. It is September, and suddenly the mountains are red and orange, the days are grey and drizzley, and we need to wear sweaters and slippers around the house. To the rest of the world, this apparently means Pumpkin Spice Lattes, but at my house, it means The Witch of Blackbird Pond. I would almost always rather read an old book than a new. Although I recently read a quote by C.S. Lewis where he said that if you're reading two new books, you ought to read an old one in between. I'm trying to make that my new regime, one old book, one new book, one old book, one new book. And in case the drop in the temperature has you looking for fall appropriate books: I've got you covered. Note: These books are entirely classics and/or children's books. And yes, I think that adults should read as many books for children as they can- even if they don't have little ones to read to. My themes for fall reading tend to be the following: books about back-to-school, books about the harvest, books that are spooky, and books about witches. As far as spooky goes, I tend to lean towards creepy/suspenseful and far away from actually horrifying or scary. Also, I don't want to really give anything away. I love reading books with no preconceived notions of them. So don't read the back of the book. Don't read the blurb on Amazon. Just trust that I am an excellent book-recommender and go pick these up today. The story of a teenage-girl in New England during the years of witch-burnings. One of my very favorite historical fictions and perfect to read with your kids, especially if they are 9-11. 2. The Crucible - "Until an hour before the Devil fell, God thought him beautiful in Heaven." A children's book by Neil Gaiman, this book is not really spooky or creepy- just wonderful! It's a modern spin on the Jungle Book, but instead of being raised by animals, the little stray child is raised by ghosts. Unlike the Graveyard Book, Coraline IS creepy and spooky. I would HIGHLY recommend listening to the audiobook of this over reading it (which is something I rarely recommend.) This is the story of a little girl, dissatisfied with her life, finding out that perfection isn't actually better. Amazing. Oh, how I wish I had not known the premise of this book! Reading for the first time was not unlike reading a Sherlock Holmes story- it was a mystery to be solved! And it's GOOD, so much better than any adaptation of it. The story of a man trying to self-medicate his own mental problems. Brilliant. Again, so much better than adaptations! This isn't the story of a mad scientist, it's the story of an unloved and unlovable man trying to find love. Yes. I said it. Frankenstein is a love story. Holy crap, you guys. I picked this up at a used bookstore, believing it to be a traditional classical romance. It is not. It is so suspenseful and creepy, a mystery and a "love-story" and go get it asap. 8. Witches- "In fairy-tales, witches always wear silly black hats and black cloaks, and they ride on broomsticks. 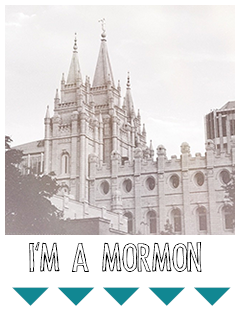 But this is not a Fairy-tale. This is about REAL WITCHES. REAL WITCHES dress in ordinary clothes and look very much like ordinary women. They live in ordinary house and they work in ORDINARY JOBS. A REAL WITCH hates children with a red-got sizzling hatred that is more sizzling and red-hot than any hatred you could possibly imagine." Roald Dahl's scariest kid's book in my opinion. Whether or not you read this book as a child, it's time to read it again. This book will teach you how to identify the terrifying witches in disguise all around you... Although, maybe it's better not to know. 9. Fantastic Mr. Fox- "I should like you to know that if it wasn't for your father we should all be dead by now. Your father is a fantastic fox." Mr. Fox looked at his wife and she smiled. He loved her more than ever when she said things like that. Not spooky! Just autumny! The story of an arrogant fox that just wants to steal from farmers who deserve it. This book is perfect for kids 3+ It was the first chapter book my kids sat through, and it will only take you an afternoon to read. From the first line "It was a dark and stormy night," this book just gets better. It's creepy at times, but mostly it's an adventure story about love, family, being weird, and all those awesome coming-of-age themes. Another good book for anyone 9-11, or older. Or anyone! Look! An even ten books! That was an accident. I just started going and made it to ten! Last book is one I haven't read yet: I'm finally tackling Dracula. I'm extremely excited to sink my fangs into it! 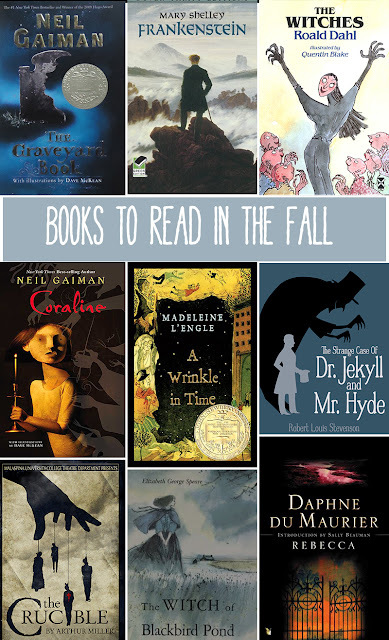 Any other favorite fall books? Please leave them in the comments. To my husband's grief, I'm always looking to expand "the library." This post contains affiliate links. If you buy one of these books through my link, I might get moneys. I promise to use any money to buy more books to recommend to you. What a great deal for both of us! So, I don't believe I've ever left a comment here before. I stumbled across your blog once via some sort of parenting research on pinterest I think? Anyways, I've been silently enjoying your blog for a while now. And I just wanted to say that I LOVE ALL THE BOOKS ON YOUR FALL LIST! Except, I haven't read The Strange Case of Dr. Jekyl and Mr. Hyde, so I shall put that on my library hold list pronto. I'm trying to decide if my boys are ready for reading 'The Witches' yet or not. We've read almost all of Roald Dahl's other children books, but my kids are kind of wimps. When I first read The Witches I was terrified and had nightmares about it for years (although I also saw the movie which is super creepy, so that probably didn't help). I think I'll try it. What's parenting if I can't cause a little trauma every now and then? Becky, I love this post! I was happy to read The Graveyard Book and like it enough to add it to a shelf with most of your other suggestions—that is, books I want my kids to read. I'd never thought of any of them as particularly fall-centric, but you're so right that they are. Especially Fantastic Mr. Fox. Ahhhh, some cider sounds good. I love this list! I need to read and (re read) these. Just was looking for more books to read! Just curious who is the author of the Deacula version you're reading? Bram Stoker? This makes me want to read all these books. 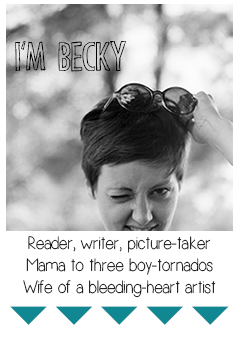 Nice job Becky! BTW I have read a few of them, so I'm not totally out of it. LOL! I have The Graveyard Book on Audible, do you think it would be OK for Katie? Of course! Classics only for me! Ok that's what I thought! I'm going to read that as well.